​Crystal Palace manager Roy Hodgson has revealed that goalkeeper Vicente Guaita may face a spell on the sidelines after the Spaniard picked up a calf injury during their match against Watford. Guaita was substituted by Hodgson just before half time in their 2-1 defeat to the Hornets at Selhurst Park, being replaced by Wayne Hennessey, who now looks highly likely to start their game against Liverpool at Anfield on Saturday. The goalkeeper - who joined ​Palace in July 2018 - has started the club's last six games in the Premier League, displacing Hennessey as the Eagles' number one. Hodgson has revealed however that he is unsure as to how long the club will be without Guaita, revealing the player is yet to undergo a scan on the injury. Hodgson said, as quoted by Ben Dinnery on Twitter (via ​101 Great Goals): “We don’t know yet [how bad it is] but it’s an injury to his calf which will have to be assessed. He couldn’t continue. 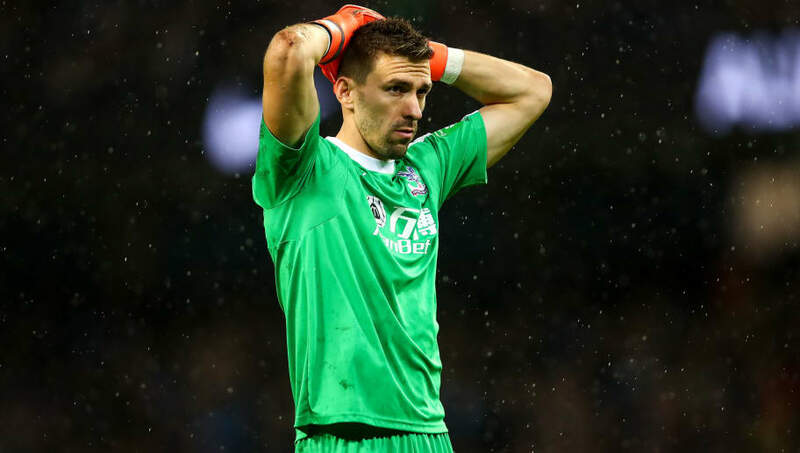 ​​The injury will be a big blow for Palace, as Guaita has achieved three clean sheets on the five occasions he has played a full 90 minutes in the Premier League for the south London club. Crystal Palace travel to league leaders ​Liverpool on Saturday afternoon hoping to claim another scalp of a Premier League title chasing team, after the Eagles defeated Pep Guardiola's ​Manchester City side 3-2 at the Etihad in December.